Can Catholic Elementary Schools Survive? Does Nuclear Power have a Future? How Do You Fly a Delta L-1011? 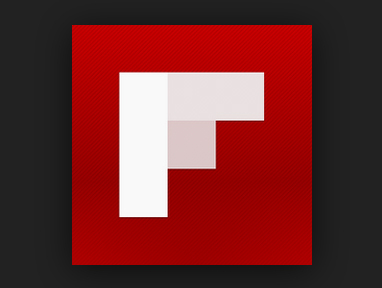 Can Flipboard change Web design? Flipboard, one of my favorite iPad apps, has a Significant Upgrade. First, if you’re not familiar, Flipboard takes links to content from the web and organizes it on the iPad into well-designed magazine-style pages that you can turn by “flipping” the pages. It’s free, and particularly useful in helping you to read your Twitter and Facebook feeds. With Twitter, for example, it takes your feeds and instead of showing you the text only, separates out those tweets that also include a link to content. Instead of just the text, you get the text as a headline, plus the first 1-2 grafs of the article the tweet links to, as well as any art accompanying the story. So instead of clicking on every link in your Twitter feed to see what’s attached, you can “flip” thru Flipboard and quickly decide which linked-to articles are worth further reading and retweeting. It works the same way on Facebook and several dozen Web sites or magazines provide their own feeds (Salon, The Economist, The Guardian, Nat Geo, Neatorama, Nieman Lab, e.g.). What Flipboard does really well is to curate content and display it in an appealing format. Yeah, there are occasional hiccups, but often you get striking images with text super-imposed, or magazine-quality pages assembled by an algorithm — dozens of them. Which is why Flipboard’s latest announcement, that you can make your own “magazines”, is so intriguing. The app has always allowed you to mark a story as a Favorite or to retweet it or e-mail it to friends with a simple tap on the screen. So when I’ve rambled across something I want to come back to later, I generally retweet it and then e-mail it to myself and then click on the link to open the Web page, and save it to a folder in my Bookmarks. Not very efficient. So what’s new? Now there’s a small “+” sign added to the margin of every article. If you “like” the story/video/photo, as you can do with Pinterest and several other apps, you can add it to your own magazine. With Pinterest, which is photo-based, that is a “board”, a web page that includes favorite images that link to the web pages on which you originally found them. But on Flipboard, you don’t just get a page of photos — you get the Flipboard magazine-style layout, page after page, which you access by flipping each page. That’s nice, for the iPad, but there is more. Go to the Flipboard home page and you can add a button to your bookmarks bar for Firefox (so far, that’s the only browser in which this works, though more are promised). As with Pinterest, once that is in your browser’s bookmark’s bar, clicking on it automatically brings up a window with images of the magazines you have created. Find a great article on the Web? Click, and Voila! it’s added to your personal magazine on the iPad. Want to add it to one you have yet to create? Just create a new one and give it a name and description. The magazines can be private or public, so again, as with Pinterest, we can assume we’ll soon be able to follow obsessive folks who have curated (collected) content we like and add it to our own magazines. In the past 1-2 years, the idea of curation has drawn a lot of attention as a way to use both human editors and algorithms to search through the ever-growing haystacks of content on the Web to find the insightful needles worth your attention. The idea isn’t new — whether it is the Drudge Report, Boing Boing, Reddit, Digg, Google News Alerts, Sulia, TrapIt or some hours-old alternative. But what Flipboard offers is a smart, attractive interface that gives you a deeper view of the content before you have to decide whether or not to click. Now, with the ability to easily create your own Web magazines, Flipboard makes you an über-curator, with the power to organize what you believe is meaningful and to share it with friends and the outside world in an attractive format. I’ve spent the past week building five magazines, for Web video, Photography, Social Media, Journalism, Teaching and Favorite YouTubeMusic Videos. None of them have enough content yet to show off (and I need to figure out how to do a screen grab on an iPad). But the potential seems clear — this is really something useful I could share with students or the real world without a lot of effort. Do it over several years, and it becomes a series of well-designed, graphically rich Web sites that you can build one article at a time, a form of iBook publishing that is free and easy and impossible not to recommend. FOOTNOTE: What’s not to like? Currently content is last in on top, just like your blog. So you can’t drag stories around to arrange them the way you’d like. You also can’t create subsections for sub-topics. I have a magazine for Photography, for example, and I’d really like to have subsections for photojournalism; how-to articles; stories about Canon EOS DSLRs, since those are the ones we use at Montclair State; striking individual images; and perhaps photo galleries including those with audio. I also can’t add context to the content myself, either through text or some other form of organization. My ideal is for this to become a textbook or at least a complement to a textbook. Right now, it is just a much more attractive alternative to my Bookmarks folders. The other obvious issue is that Flipboard only works on an iPad and NOT on the general Web. The reason is obvious — it works like a magazine. You swipe with your hand to turn the pages instead of scrolling down a Web page. That highlights a battle I think is one of the most important we’ll see played out on the Internet in coming years — whether we continue our scatter-brained, everything-but-the-kitchen-sink Web page design of the past 17-18 years, based around Web pages that scroll down indefinitely, or whether smartphones and tablets, which emphasize individual pages that cleanly fill their entire screen and are navigated by touch to “turn the page” win out. Personally, I’m a big tablet/smartphone fan, since that schema lets designers know the real estate they have to work with and design accordingly. But that’s the topic of a later post. Answers to questions, you always forget to ask! This blog on media, society and technology is run by Professor Alfred Hermida, an award-winning online news pioneer, digital media scholar and journalism educator.